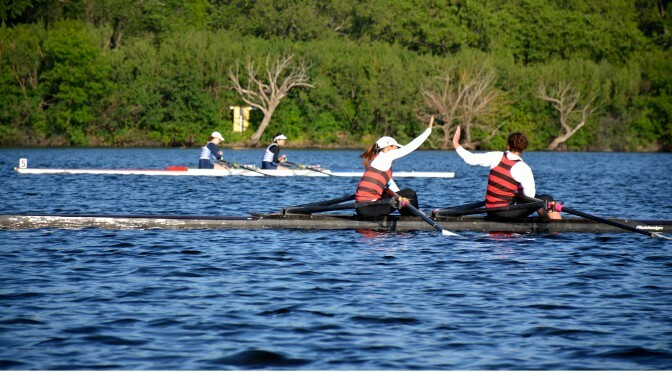 Regina Rowing Club seeks to create a rewarding and high-level competitive experience at the 2016 Canadian Masters Championships. It is expected by all rowers that a National Championship will have a higher standard of competition. Under Meaningful Competition, in order to win a gold, silver or bronze medal, there must be at least four competitors in the race. This ensures that each medal represents a well-earned result where the competitors fought it out for the top three positions. If there are not four entries in a race, where logical, the organizing committee will combine age groups in an attempt to reach four or more competitors. Handicaps will be assigned as necessary and one gold, silver and bronze medal will be awarded for that combined race using the handicap to determine the winners. Where at all possible the span of age categories will not be more than three. Medals will be presented immediately following each race at the medal presentation dock located in front of the finish line tower on Pine Island. First place athletes and crews will be expected to row their boat to the medal presentation dock to receive their gold medals. To expedite this process we ask that athletes remain in their boat so medals can be awarded to the winning crews. Accommodations will be made for crews unable to pick up their gold medals due to hot seating. Crews will be able to pick up their medals following their race at the awards dock. Second and third place athletes and crews will be asked to make their way to the awards dock at a convenient time following the final so they can be presented their medals. Photography opportunities will be available in the awards area for crews to take pictures on the awards platform.